Researchers say knowing your neighbours is good for your health and well-being. So why don't more people make the effort? Meal trains. A Google group. Dog walking. An annual street party. Those are the kinds of experiences neighbours share with each other on Helena Avenue, a tree-lined street in midtown Toronto. Chandra Sookdeosingh, who's been living there for 15 years, says neighbours' unique bond goes beyond social gatherings. After falling ill one day around a decade ago, she felt comfortable enough to walk right through the front door of her long-time neighbour Suzanne Schwenger's home. "She actually took me in the ambulance to the hospital and stayed there with me until a relative came to see me," Sookdeosingh recalls. "I think that is what part of being in a neighbourhood like this is all about: You feel a sense of belonging. You feel people are looking out for you." But in Toronto, this kind of neighbour-to-neighbour connection is more a rarity than the norm. A first-of-its-kind survey released this week by the Toronto Foundation, which explores the relationships of Toronto residents, reveals 66 per cent of people report only knowing a few — or none — of their neighbours. It's a situation researchers say is increasingly common across North America, but that doesn't mean it's a good thing: Knowing neighbours, according to sociologists, can be beneficial to people's health and wellbeing, and to communities as a whole. Only nine per cent of Toronto residents report knowing most of their neighbours, the Toronto Foundation's survey results show. Another quarter say they know many, while nearly 60 per cent know a few. Another finding? Nearly one in 10 residents say they don't know a single person living around them. "Knowing one's neighbours is not closely linked to household income, education, generation in Canada or neighbourhood area, but is more likely among those who live in detached dwellings (versus high-rise buildings) and who have spent more years living in the same neighbourhood," the report notes. Helena Avenue, perhaps the poster-child for a tight-knit Toronto neighbourhood, fits that bill. The quaint 450-metre stretch just south of St. Clair Avenue West, which runs between Wychwood Barns Park and Bathurst Street, is largely semis and detached houses. There's also a large population of long-term residents, with many living on the street for a decade or two — or more. When John Smith first moved to the street 16 years ago, he quickly met neighbours on both sides of his home. After growing up on a north Toronto street where residents never spoke — unless it was through their lawyers to settle some beef, he jokes — Smith was surprised, and quickly embraced it. "It makes it a much more enjoyable, social community," he says, standing on the leaf-covered sidewalk near his home. It's also intentional, with residents stepping up to host an annual street party and checking in on each other in times of need, residents say. "This street has done an amazing job of rallying energy and interest, and changing with the community," echoes Cynthia Dann-Beardsley, a 32-year resident who started off as one of the neighbourhood's "new moms," and is now a grandmother. Knowing one's neighbours, according to the team behind the Toronto Foundation's survey, is one of the most significant factors impacting who does and doesn't have higher levels of social capital — or in other words, robust relationship networks and social support. "Civic connection is most evident among citizens who know their neighbours," notes the report, released on Monday. Outside experts also stress the clear health and wellness benefits of building ties with people living nearby. Social bonds, in fact, are the "strongest predictor" of a long, healthy life, according to Montreal-based psychologist Susan Pinker. "We are social animals, and we need to belong," continues Pinker, whose book The Village Effect: Why Face-to-Face Contact Matters came out in 2014. "It's as important to our biological survival as other needs like eating, drinking and sleeping ... Loneliness and social isolation leave a special mark, an imprint, on every cell of our bodies." Research from the University of Missouri-Columbia, for instance, shows a correlation between neighbourhood relationships and health. Even while taking into account factors such as someone's level of education, income, and age, people who reported that "their neighbours can be trusted" reported better health on average, the 2011 study found. "People who get together to play cards or be in a book club or play old-timers hockey have a much higher likelihood of avoiding dementia," adds Pinker. Researchers say it's also beneficial for people's resiliency and day-to-day mental health. 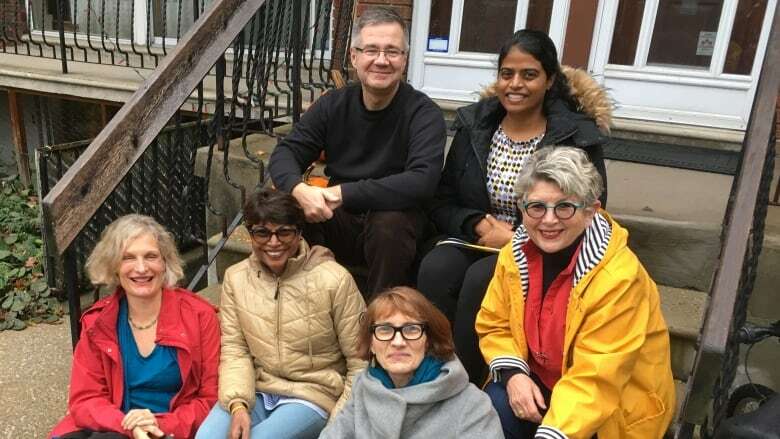 When you know your neighbours, "you know that you're in a caring place where you have a stronger sense of belonging," says Cheryl Teelucksingh, a sociologist at Ryerson University. 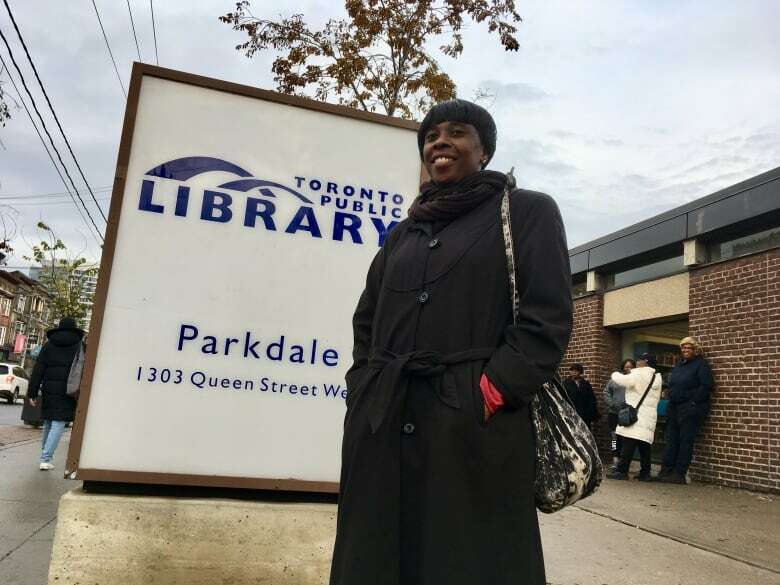 That rings true for Beryl-Ann Mark, a 24-year Parkdale resident who began spending time with other neighbourhood residents at the local library on Queen Street West several years ago. The local moms getting together after picking up their children from school has become a daily ritual, she says. The women help their kids with homework some days, and share meals on others. "It helps my overall wellbeing, and my mental state of mind," Mark says with a laugh. "Dealing with family, household chores, work — it can be fairly stressful. Gathering with neighbourhood friends is really important for me." Since the benefits are clear, why don't more people embrace neighbourhood connections in Toronto? Marc J. Dunkelman, a fellow at Brown University's Taubman Center for Public Policy, says it's a sign of the times across North America, thanks to the rise of digital communication. "We've got more opportunities now than ever to touch people who, in previous generations, were mostly untouchable," says Dunkelman, author of The Vanishing Neighbour: The Transformation of American Community​. And he doesn't mean celebrities on social media. Think of decades past, when a spouse would leave the house and their partner didn't hear from them until they reunited for dinner. Now, you can text, call or FaceTime your loved ones any time you want. Why invest in neighbours, some might say, when your closest connections are a click away? "It used to be, if we didn't have good relationships with our neighbours, we'd be dead," says Pinker. "Our farms would burn down." Now, we don't need to build relationships with a lot of once-upon-a-time connections. Bank tellers have given way to online banking; bookstore clerks were largely phased out by online shopping. But researchers say that doesn't mean people should give up those real-world relationships with other community members — including those just a door-knock away. "The next time you do have an opportunity, and you're either going out to your car and you see somebody else going to their car next door, or you're in that elevator, just start up a conversation," Teelucksingh says. "Introduce yourself. And see where it goes from there."